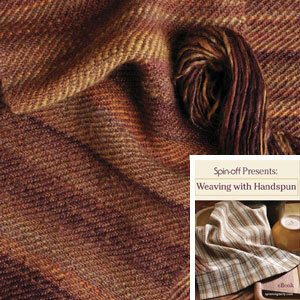 Turn your handspun yarn into beautiful fabric! 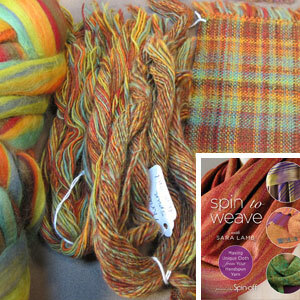 Get all the resources you need to learn how to spin fiber for weaving projects. 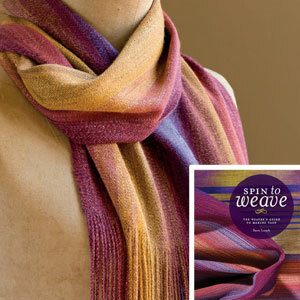 Turn Your Handspun Yarn into Woven Fabric! 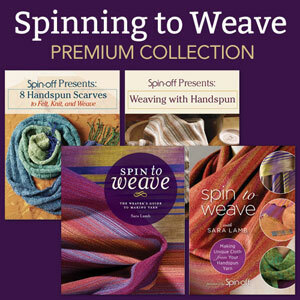 With this collection you will get all the best resources for learning how to spin yarn perfect for weaving projects. Gain valuable information on spinning and weaving, from what fibers work best for different type of fabrics, to helpful techniques for weaving with handspun yarn. With this collection you will get over 240 pages and 2 hours of techniques and tips. For spinners and weavers alike! Get in-depth information on fiber properties and color choices, as well as beautifully photographed samples. Author Sara Lamb focuses on the process of spinning for specific results, providing detailed instructions, a sampling of projects, variations, and a gallery of pieces by other spinners. Sara takes the reader to the very source of woven fabric, explaining the entire process from how to choose fibers to how to spin them with finished fabric in mind. What wardrobe is complete without a scarf or two or twenty? It is often the first project that beginners take up and yet, scarves aren’t just beginner projects—stepping stones to learning more complicated patterns—they can be simple or complex, fast or labor-intensive. Scarves can be anything you want them to be: from purely functional to incredibly expressive, easy to challenging, loudly colorful to subtly neutral. 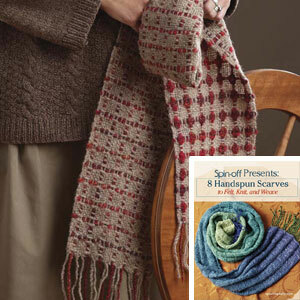 This eBook contains eight patterns for handspun scarves taken from past issues of Spin.Off, to get your spinning wheel purring and your needles or loom clicking. Work with fibers such as cashmere, silk, Shropshire-Romney cross wool, Corriedale, Merino, and more!